Designed to give navigators and vessel owners a trustworthy and powerful tool for the highest degree of safety during voyage. 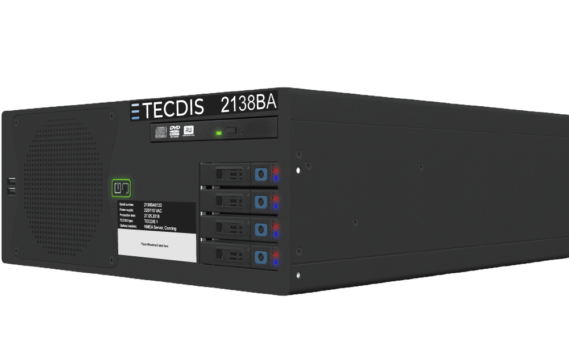 TECDIS 2138 B is the most powerful TECDIS ever. It combines our TECDIS software with a high end maritime processor. This is the second generation of our most successful ECDIS, the 2138. Based on the same chassis, it has been upgraded in every way to meet the highest demands of reliability, processing power and usability. Can trace it’s roots back to the first TELchart developed in 1994. Designed in Norway, with input and feedback from users and Telko Ambassadors. Read more about the TECDIS software here. In the 2138B, cooling fans are the only moving parts. The hard drive is now an SSD, and we only use highly reliable INTEL SSD’s in our TECDISes. This greatly improves chart loading and general use. The chassis now has extractable hard drive bays, making a hard drive swap very easy. This reduces service time if the hard drive has to be replaced at any stage in the unit’s lifetime. In this new generation we are using the Intel Core i5 processor, as it is a great performer and very good value. This switch cuts down on installation time, allowing the technician to slot the NMEA cables directly in to the TECDIS, without the need for attaching 9-pin plugs to the cables before connecting.